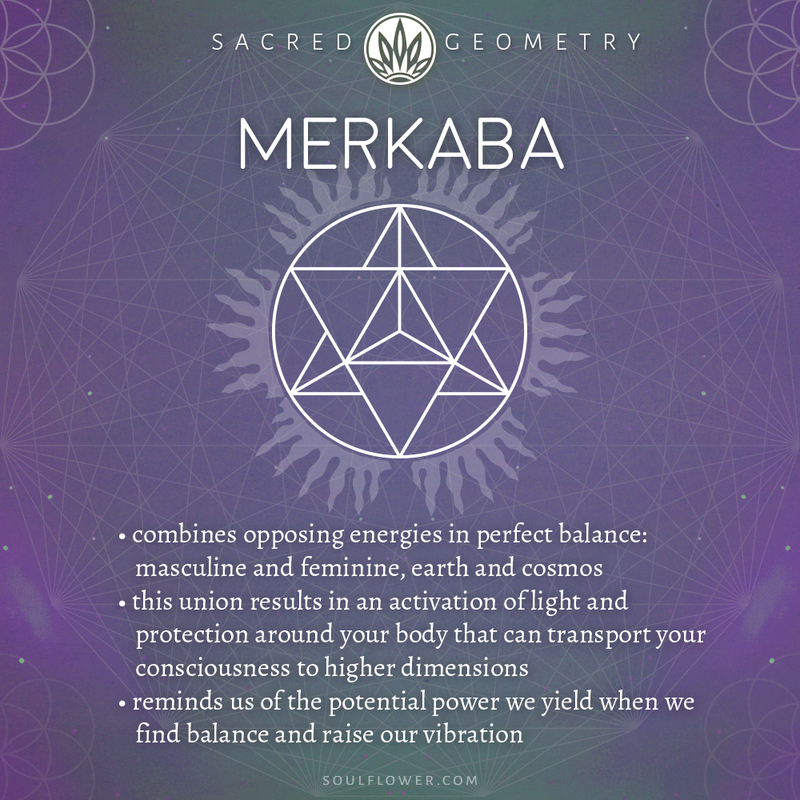 Merkaba, also spelled Merkabah, translates literally to light, spirit, body. The Merkaba Symbol is a shape made of 2 intersecting tetrahedrons that spin in opposite directions, creating a 3-dimensional energy field. You can activate this vehicle of light around your own body with practiced meditation and breathing techniques. The merkaba is said to provide protection and transport your consciousness to higher dimensions. The merkaba shape reminds us of the potential power we can wield when we unite our own energies in pursuit of connection and growth. Our merkaba design takes the merkaba shape and expands beautifully, adding the words light, body, spirit to the outer edges. 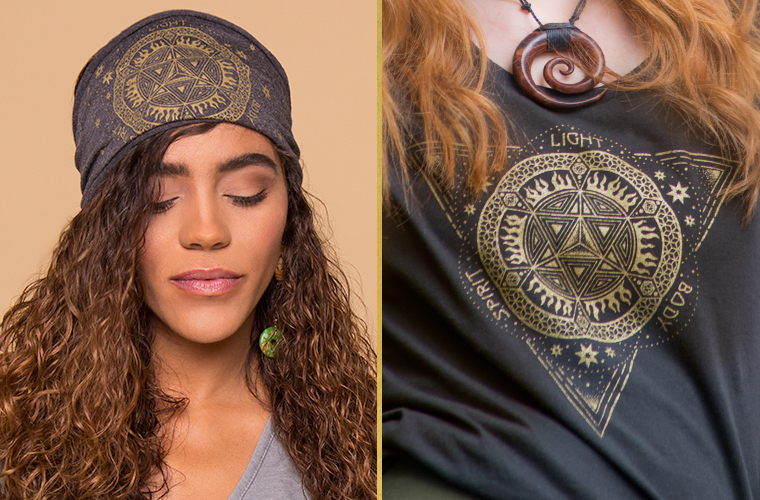 We print this in a gold shimmer ink to literally catch the light (just like the merkaba does)! For an introduction, check out our first post. Sacred Geometry are geometric shapes that have deep metaphysical meaning behind them. Besides being beautiful, they often have interesting mathematical properties and loads of history and symbolism. These geometric designs have been used by humans since ancient times in art, decor, and in religious and spiritual contexts. The new age movement has renewed interest in these elegant and cool-looking shapes, and people are using them to explore the self and their place in the universe.